Dig deeper. Look past the first right answer. 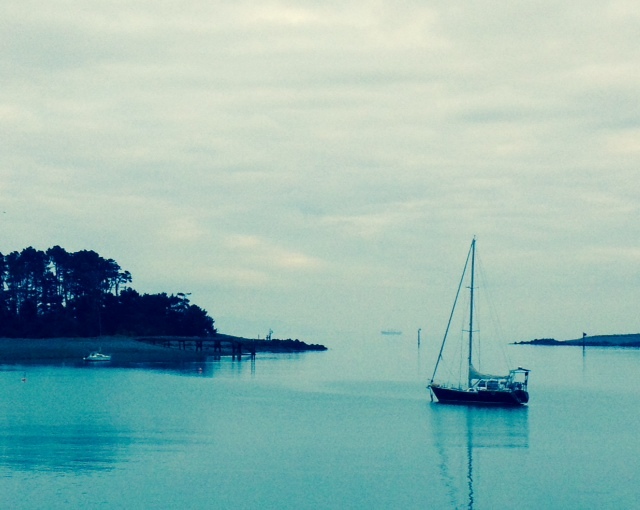 Last weekend on my run, I glanced across the harbour and saw this view of a boat on the water. If we were to glance briefly at the photo, we would only see the boat at the forefront of the image, floating safely in the harbour. We could be forgiven for thinking there was only one boat in the picture. But if you look more closely, you’ll see another boat in the distance, hiding in the mist. It’s a bit like that in leadership. Too often we focus on what’s right in front of us, rather than taking the time to look beyond the glaringly obvious. When coaching others, one of the most powerful phrases I have found to use are the words, “…and what else?” Sometimes these simple words are said two or more times within the space of one conversation. I’m constantly surprised and delighted (as are my clients) at how often the third or fourth answer is the best one. The lesson? Don’t stop with the first right answer you find. How often do we stop at peeling back the first layer of the proverbial onion, only scraping the surface of a problem or opportunity? Rushing from the first right answer straight into action mode? Ask yourself, what am I missing, like I did when I glanced across the harbour? The best way to get a good idea is to first acquire lots of ideas. That’s why brainstorming is an effective practice to get into when problem solving or driving innovation and creativity in your workplace culture. Imagine a pearl diver on an island in the South Seas. He pushes his canoe off from shore, paddles out into the lagoon, dives deep into the water, picks an oyster off the bottom, surfaces, climbs into his boat, paddles to shore and opens the shell. Finding nothing inside but an oyster, he pushes his canoe off again and begins paddling back into the lagoon. What an incredible waste of time! The reasonable thing to do is dive again and again, fill up the canoe with oysters and then return to shore. Pearls are rare. A diver must open many oysters before finding one. Only a foolish person would waste time and energy making a separate trip for each oyster. It’s the same with producing ideas. Many times we will come up with one or two concepts and proceed as if they are the answer. But the best creative ideas, like pearls, occur infrequently. I like the phrase “Don’t stop with the first right answer you find.” It is so easy to forget that we have more than one option.